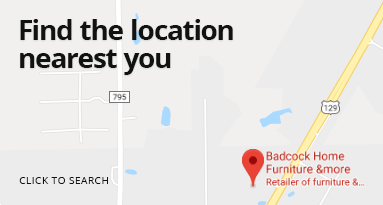 At Badcock Home Furniture &more in Valley, Alabama, we provide customers with affordable home furniture and appliances with style to match. We offer in-house financing and easy payment plans to fit your budget. Stop by and visit Ms. Angie and our friendly staff at 3418 20th Avenue Valley, Alabama 36854. We are open Monday through Friday 9:00 a.m.-6:00 p.m. and Saturday 9:00 a.m.-5:00 p.m. You can reach us during store hours by calling (334) 768-3451. At Badcock Home Furniture &more in Valley, Alabama we have beautiful selection and easy financing.